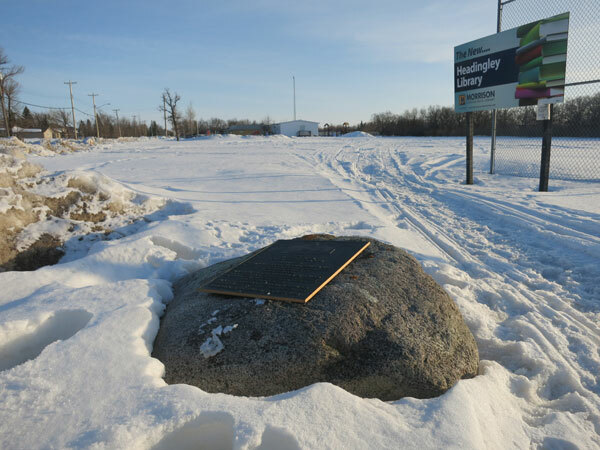 The Phoenix School District was established formally in April 1910 and a wood frame school building operated at this site (in what is now the Rural Municipality of Headingley) from 1910 to 1963. 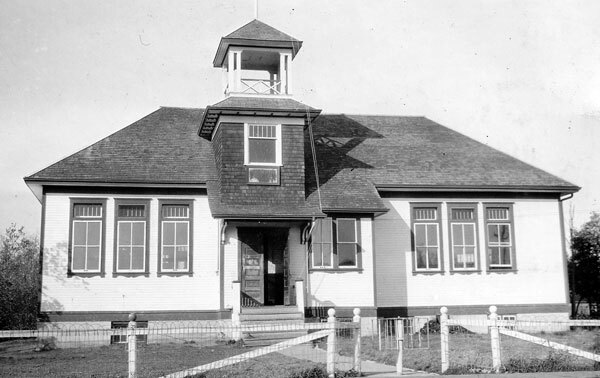 Increasing student enrollment necessitated the construction of a second classroom in 1920. A third classroom was added in 1938. In 1956, the district consolidated with the Headingley School District No. 9 to form the Headingley Consolidated School District No. 9. After the earlier schoolhouse was condemned in 1962, a new school building was erected in 1963, designed by the architectural firm of Zunic and Sabkowich and built by Hoffman Construction. In 1967, the district joined the Assiniboine North School Division and, two years later, the St. James-Assiniboia School Division. The earlier Phoenix School building is commemorated by a monument erected in 1999 by the Headingley Historical Society. Among the early teachers of Phoenix School were Miss Edith J. Cann (1910-1913), Miss Margaret A. Taylor (1913-1920, 1927-1928), Miss Rossie M. Channon (1920-1922), Miss Kellington (c1920), Miss Mary Shepherd (1921-1922), Mrs. Hazel Laycock (1924-1926), Miss Clara Rindfleisch (1924-1925), L. O. Long (1925-1926), Gladys Craig (1928-1929), Miss C. Josephine Dean (1931), Miss Norah P. Crook (1931-1932), Miss Kathleen Rust (1932), and Miss L. W. Bradley (1933-1935). GR8461, A0233, C131-2, page 134. History of Robert Browning School: 1963-1974, St. James Assiniboia School Division, 1974. History of Headingley & Phoenix Schools: 1856-1974 by Mrs. N. Ramsay, St. James Assiniboia School Division, 1974. We thank Larry Taylor and Nathan Kramer for providing additional information used here.